In November of 2018, the National Main Street Center third participating neighborhood district to its UrbanMain program in Chicago, Illinois. 2015 aerial photo by Firstcultural (via Wikipedia) shows South Shore and Hyde Park in foreground. 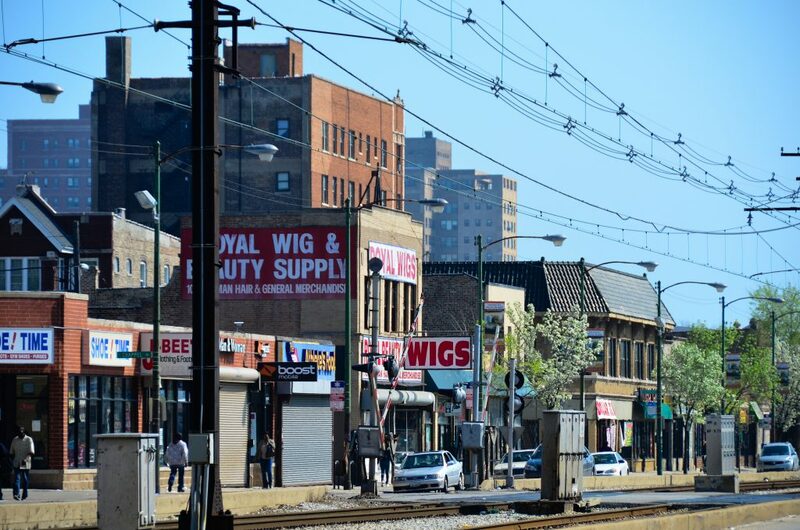 The South Shore Chamber of Commerce will receive technical assistance and capacity building to support its work to foster sustainable and inclusive economic redevelopment along the 71st Street commercial corridor on Chicago’s South Side. UrbanMain’s work in Chicago is made possible through a three-year commitment from the Richard H. Driehaus Foundation. “We are grateful and delighted to be selected as the next community to benefit from the UrbanMain Program,” said Tonya Trice, Executive Director of the South Shore Chamber of Commerce. “This opportunity will help to restore 71st Street to the vibrant thriving commercial corridor it once was. Ushering in new ideas and resources, all while preserving the historic distinction of South Shore will position us to become a destination community and a model for urban revitalization,” she added. South Shore is one of 77 defined community areas of Chicago. A predominantly African-American neighborhood on the city’s South Side, the area is named for its location along the city’s southern lakefront. 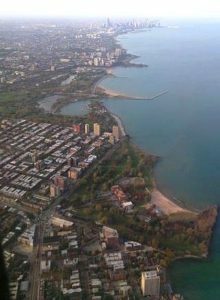 Although South Shore has seen a greater than 40% decrease in residents since Chicago’s population peaked in the 1950s, the area remains one of the most densely populated neighborhoods on the South Side. The community benefits from its location along the waterfront, its accessibility to Lake Shore Drive, and its proximity to major institutions and attractions such as the University of Chicago, the Museum of Science and Industry, and Jackson Park. UrbanMain is a program of the National Main Street Center designed to help restore economic vitality and promote quality of life for residents in under-resourced older and historic commercial districts. The program utilizes a set of community-driven economic development tools and services to bring sustainable growth back to these traditional neighborhood centers. UrbanMain offers specialized services, professional development, networking, and advocacy for the field of urban commercial district practitioners. As the lead economic development agency in Chicago’s South Shore neighborhood, the South Shore Chamber of Commerce’s mission is to strengthen and support the area’s diverse business community and engage stakeholders to improve the overall quality of life in South Shore. This work will be critical in the coming years as major development projects promise to bring significant change to the neighborhood, most notably the Obama Presidential Center and the redevelopment of the South Shore and Jackson Park golf courses. Working collaboratively with community stakeholders, South Shore Chamber is committed to ensuring that these new ventures bring sustainable growth to the district without displacing residents or businesses. Building upon recent urban design and community engagement efforts, the South Shore UrbanMain program will focus on 71st Street to a develop comprehensive strategy and implementable actions to support the growth and retention of local businesses on the corridor. Rainbow Beach on south shore of Lake Michigan. Photo: Trish O’Shea via Wikipedia. 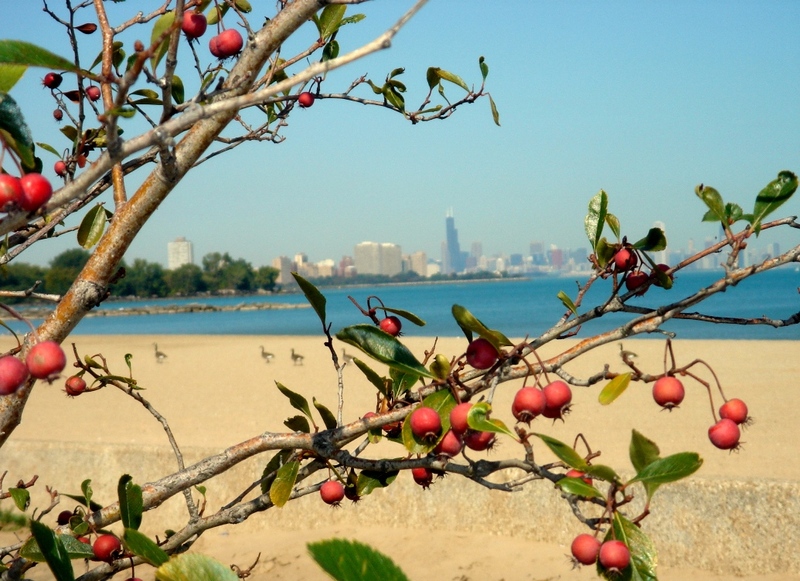 The UrbanMain Chicago team will work with the partner organization over an 18-month timeframe. Applications for additional UrbanMain Chicago neighborhood partners will be available in 2019. The National Main Street Center has been helping revitalize older and historic commercial districts for more than 35 years. Today, its network of more than 1,600 neighborhoods and communities, rural and urban, share both a commitment to place and to building stronger communities through preservation-based economic development. The organization is a non-profit subsidiary of the National Trust for Historic Preservation. Photo of 71st Street courtesy of South Shore Chamber of Commerce. See the Urban Main website. See Richard H. Driehaus Foundation website.